It’s important to remember where you came from in order to keep a clear vision moving forward. AquaPruf conveyors were the first conveyor platform offered by Dorner designed solely for the food and medical industries. These stainless steel conveyors have over-sized, sealed bearings and can take high-pressure washings with water, soap, bleach, chlorine, alcohol or foaming chlorine cleaner without the worry of bearings or other important components corroding. Almost nine years later, AquaGard 7300 Series conveyors are still the lowest profile sanitary conveyors on the market. 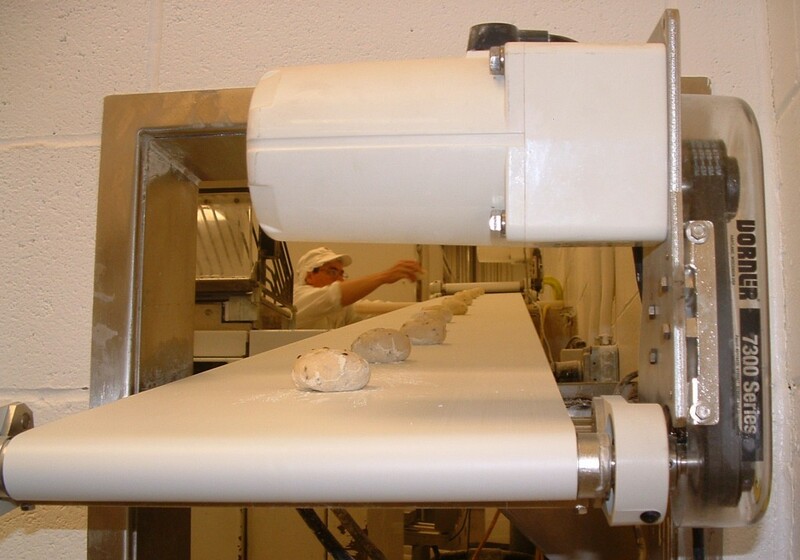 Back in 2003, the Pittsburgh bakery company purchased three conveyors: two AquaPruf and one LPZ Series to support the equipment upgrade. The last report is that the conveyors continue to operate effectively for the company; the upgrade allowed a productivity increase from 60 dozen rolls an hour up to 480 dozen an hour, all while accomplishing the job with two employees instead of four. Since 2003, we’ve helped solve hundreds of food handling challenges with our AquaPruf and AquaGard conveyors and we’re always looking forward to the next challenge. Here are a few videos showing more recent applications.